Our Super Topplers are an essential classroom resource for play and learning! They’re our take on dominoes, just way more classroom friendly. 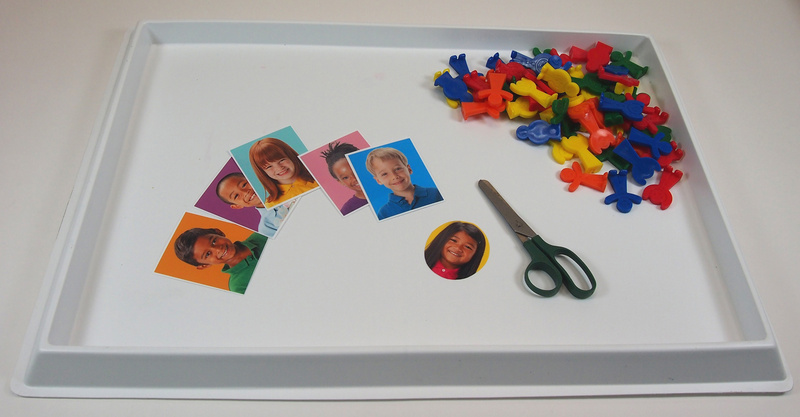 Make personalized Super Topplers for each student in your class! This craft is fairly easy, but a great activity to get everyone involved. 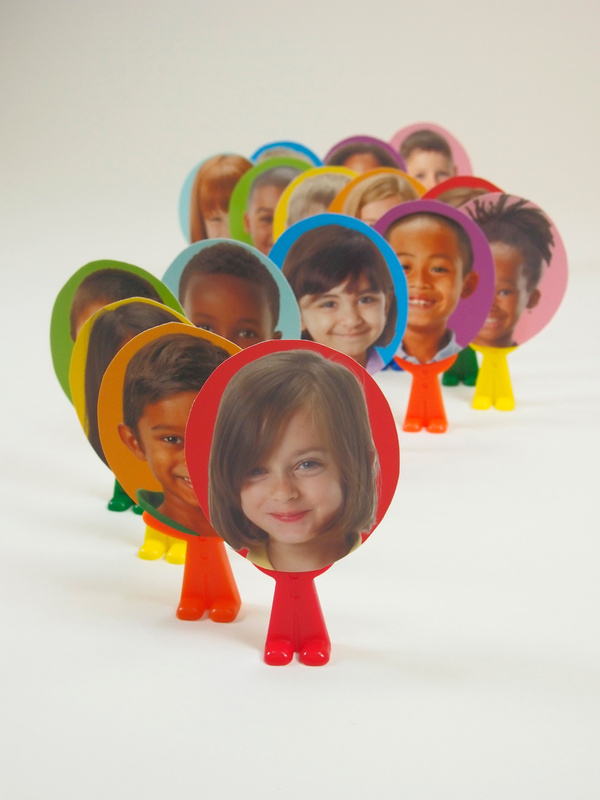 Each child gets to personalize his or her own Super Toppler using a photograph of their face. You can photocopy the photos of the students to allow them to make more of their own Super Topplers. At the end of this activity, put together a wonderful domino run that everyone can participate in! Cut a circle around each student’s portrait. 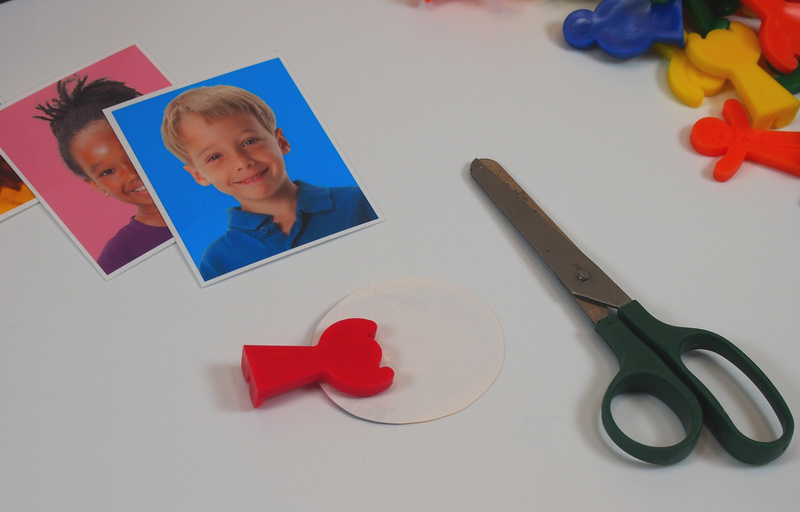 You can draw a perfect circle at the back of the photo using a stencil, then cut along the line. Flip over the photo and apply a small roll of tape to the bottom. Place the top half of the Toppler onto the tape and press down so it adheres completely. Make a whole classroom set! Put the Topplers all in a row one after the other. Wind the track on desks, around the floor, up on a ledge or over chairs. Connect each different elevation with blocks, rulers or planks, then run the Topplers across them! Make a classroom Toppler domino run and send us photos of what you made! We’ll write a feature post highlighting your work. Contact us through the contact form for more details. We’d love to hear from you! This entry was posted in Crafts, old, Phys. Ed. and tagged classroom domino run, classroom photo crafts, domino classroom faces, super toppler domino faces, super topplers by roylcoblog. Bookmark the permalink. If you make the classroom photos bigger, almost bobble-head style, then certainly you could! 🙂 Thanks for the suggestion!